Qantas received a NZ$32.6 million (A$29.86 million) dividend from its New Zealand offshoot, Jetconnect, accounts filed with the New Zealand Companies Office show. The accounts also show Qantas received a NZ$1.8 million (A$1.65 million) dividend from its New Zealand Jetstar operations. The financial report of Qantas’s New Zealand operations come as Qantas pilots protest plans for New Zealand-based Jetconnect pilots to fly Australian aircraft on lower pay. Both Jetconnect and Jetstar dividends were declared after the June 30 balance date. Qantas has long maintained dividends from its New Zealand offshoots are internal transactions that are not returned as capital to the parent and that they do not affect the airline’s financial outcome. Rather, they are transacted to process the way Qantas accounts its New Zealand subsidiaries. Likewise, its revenue from operating activities, listed as service fees and finance income at both subsidiaries, is assessed as a fair value for the money received or paid from Qantas. It is then calculated as the recovery of certain operating expenses, plus an operating margin. But total revenue and other income at Jetconnect showed a return of NZ$104.58m in the year to June 30, 2017, up 11.2 per cent on the previous year’s total of NZ$94.042 million. No tax was paid by either airline due to tax losses brought to account that were attributable to Qantas group New Zealand companies. Jetconnect’s total pre-tax profit for the year was NZ$24.06 million, up 279 per cent, or NZ$6.342 million, from the previous financial year, boosted by the reversal of a NZ$16.910 million impairment involving a related party. Its labour bill increased by NZ$2.138 million to NZ$54.122 million while aircraft operating variables increased by NZ$6.85 million to NZ$38.54 million. That left NZ$32.63 million in equity and cash and cash equivalents of NZ$11.443 million. Jetstar’s results were not so buoyant in its first full year of operating expanded services to New Zealand’s regions in direct competition with Air New Zealand. Its total revenue for the year to June 30 2017 was NZ$32.59 million, down 12.5 per cent from the prior corresponding period. It reported a pre-tax profit of NZ$3.062 million, down 12.5 per cent from last year’s NZ$3.509 million. But the budget airline reversed accumulated losses of NZ$1.227 million in the previous financial year to a positive NZ$1.835 million. Jetconnect, employing 120 New Zealand-based pilots, has long been a bone of contention with airline unions because of lower pay rates paid to pilots and crew than those paid to Australian pilots. In late November, Jetconnect told staff that the seven New Zealand-registerd Boeing 737-800 aircraft in its fleet would be transferred to Qantas’s Air Operators Certificate (AOC) and have VH- tail numbers. The move, it said, was a result of Emirates’ withdrawal of large chunks of its trans-Tasman services. Qantas aircraft will fill that gap with additional widebody Airbus A330 services between Australia and New Zealand. Qantas pilots have been vocal on the Professional Pilots Rumour Network (PPRuNe) network and elsewhere about the lower-paid New Zealand pilots flying Australian aircraft on extra flights between Auckland and Sydney, Melbourne and Brisbane from March 2018. 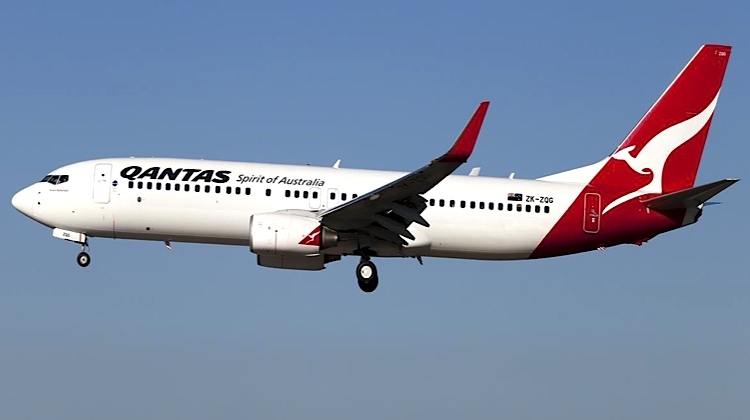 They have slammed the move as a means of Qantas using overseas crews on lower pay than their Australian counterparts even though the Jetconnect pilots will continue flying the Tasman as usual. Some pilots see it as a threat to their jobs by opening the gates to cheaper foreign crews. The Australian and International Pilots Association (AIPA) has yet to comment publicly. Jetconnect has set up a project team to liaise with with Qantas and Civil Aviation Safety Authority (CASA) about the transition. An email sent to staff by John Gissing, Group Executive for Qantas’s Associated Airlines and Services, said a small number of the team will not have a job at Jetconnect after the change, but a position would be available to the vast majority. Once staff is told the impact of the changes to their jobs they will be told about the new organisation and regulatory structure that will come into force once the AOC is transferred back to Australia. The move has lead to speculation among pilots and crew about what sort of future Jetconnect will have. Jetconnect was set up by Qantas in 2002 to manage the operating schedule of trans-Tasman commercial passenger flights. The company incurs costs for providing those flights such as aircraft operations, management and operating costs. Qantas also operates a New Zealand office for flights beyond the Tasman. Gissing said in his email that Jetconnect flight and cabin crew would continue to operate on the Tasman but would be flying on the VH- or Australian registered aircraft. Virgin Australia and Jetstar fly in New Zealand on Australian tails. “This would allow us to improved the overall 737 utilisation and efficiency. The 737s freed up would enable more flying to new and existing destinations,” he said. Virgin Australia (NZ) Ltd has not filed New Zealand accounts this year. The company cancelled its AOC in 2015, with its business operations transferred to Virgin Australia International Airlines Pty Ltd (VAIA) and assets and liabilities held by the company transferred to VAIA in September 2015. It registered VAIA on May 10, 2017 at the New Zealand Companies Office, possibly in anticipation of operating a planned five return direct flights a week between Auckland and Apia. However, Virgin Australia did not receive approval from the Samoan government to start the route. The Samoan government, after running a joint service with Virgin Australia from Australia for a decade, chose to launch its own Samoan Airways on the route in conjunction with Fiji Airways. Surely Jetconnect would be better having more aircraft on the new register or under the Jetstar nz operation. From my understanding it’s much easier to operate nz registered aircraft domestically in Australia than Australian registered aircraft. Also last time do looked kiwis can work in Australia without any restrictions whatsoever. Want as coukd become the flying Kiwi with much lower costs & be a much better airline with lower fres, although wouldn’t be hard to be better than qf is now. Have flown Jetstar several Times recently only once a very Rude cabin crew member, her attitude and altitude, was most disgusting, and boarder line common assault, when I asked an aviation related question, She needs to grow up, or take the number 11 bus. , Not the most pleasant customer service.